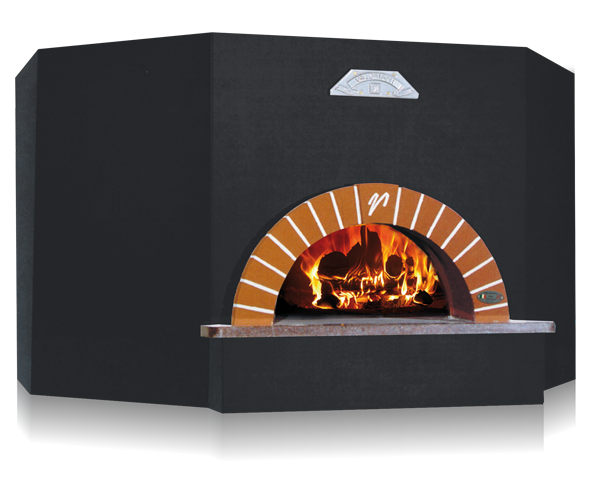 The Vesuvio OT UK specification oven series, Licensed by DEFRA, features an oven housed in a steel casing that includes the upper and lower insulation and a marble shelf. OT UK ovens can be ready to go in 1 day [One] if it can be delivered and put in place by fork lift truck, crane or other lifting equipment. Alternatively, it can be assembled in situ by our artisan installation team and takes 1 [one] day to install. The oven comes with a factory prepared steel stand at the optimum working height, but it can be installed on your own suitable table or base.